Take a road trip through the famous landscapes, ancient ruins and old settlements where Scotland’s greatest stories come to life. 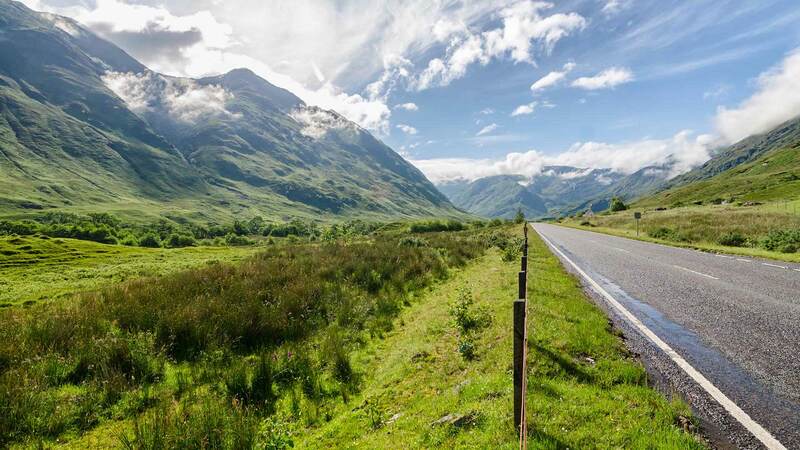 This independent self-drive journey includes some of Scotland’s most famous sights and routes, from the capital city to the rugged Highlands. 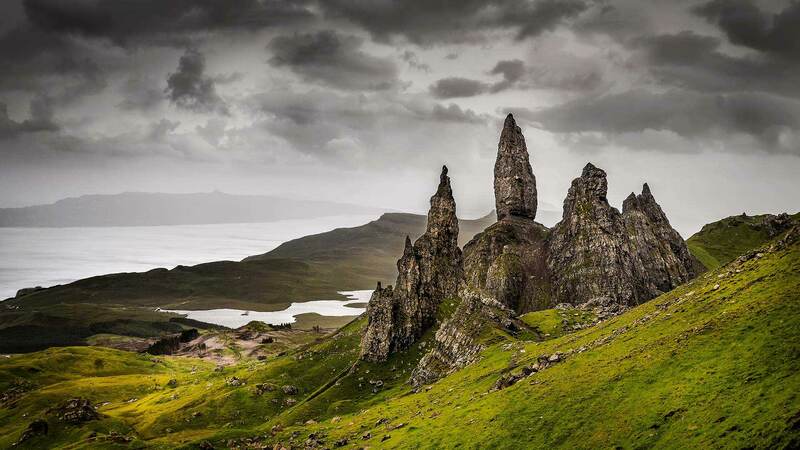 Experience the beautiful Isle of Skye and other legendary places, such as Loch Ness, Glenfinnan, and the Trossachs National Park, along with the historical cities of Edinburgh and Inverness. 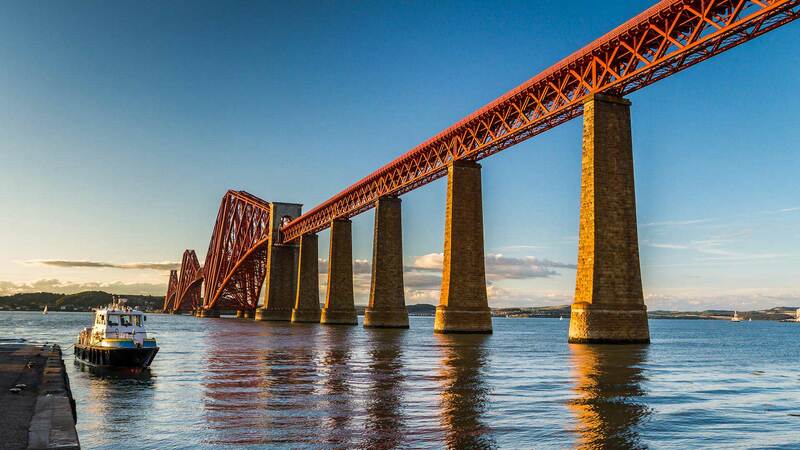 With the Explorer pass we’re including in this package, you’ll also have entrance included to historic landmarks such as Edinburgh Castle, Stirling Castle and more. Make your way into Edinburgh city centre where your hotel will be located. Many travellers opt to take a taxi or use public transport, but for a more direct and comfortable ride, we will be happy to organise a private airport transfer for you. 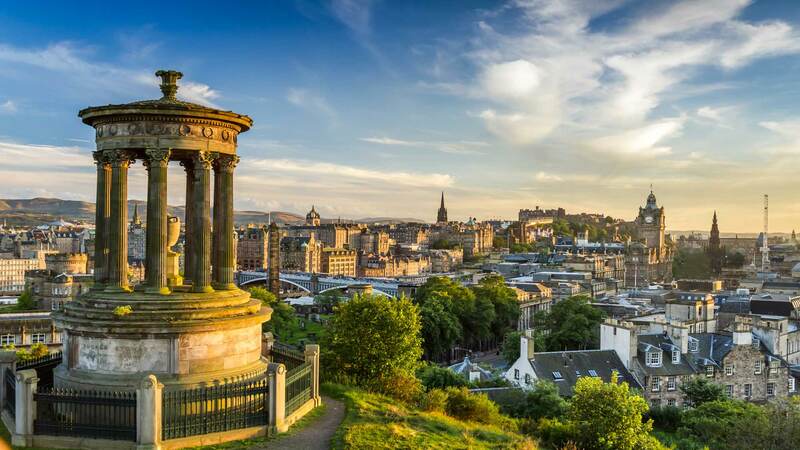 For those arriving early in the day, we recommend spending the afternoon walking through the city, strolling along the Royal Mile and exploring the Old and New Towns, a UNESCO World Heritage Site. 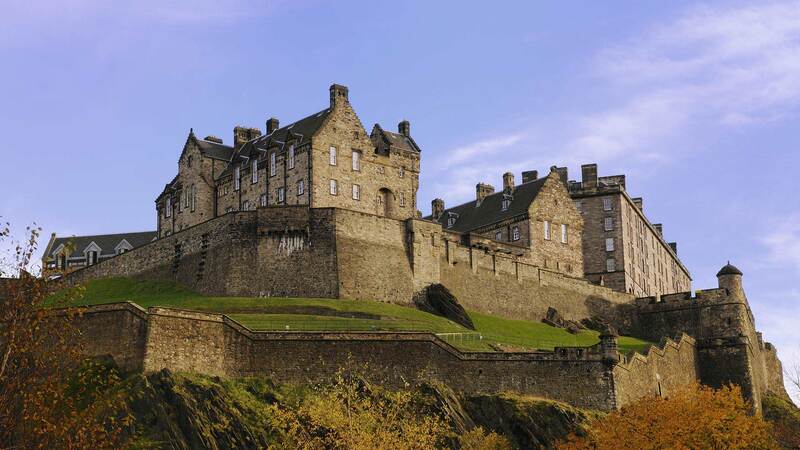 There are also plenty of museums and landmarks to visit within the city centre, including the majestic Edinburgh Castle. Today will take you into the Scottish Highlands. First drive along the “Deeside Tourist Route”, an enchanting route through the Cairngorms National Park. 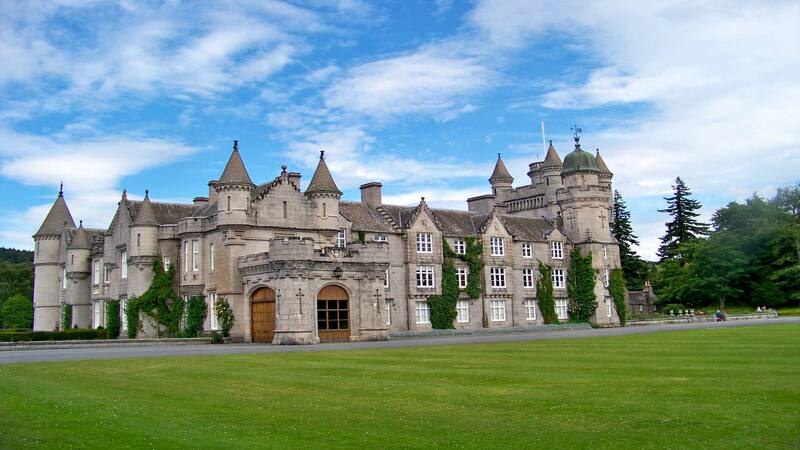 On the way, there is a plethora of castles you could visit, including 16th-century Crathes Castles, and of course, the Scottish residence of the Royal Family, Balmoral Castle, which you can visit from April to July. You will then continue to Speyside, which is famous for its whiskies. You may want to visit one of the many distilleries (there are over 40 to choose from! ), such as Glenfiddich or Aberlour. Today you get the choice between spending the day exploring Inverness surroundings or getting a taste of the North Coast 500, one of Scotland’s most scenic driving routes. Around Inverness, you can visit the famous Battlefield of Culloden Moor and roam the Bronze-age cemetery Clava Cairns. You can also visit Cawdor Castle or take a walk at one of the golden sand beaches. If you journey to the North Coast, we recommend visiting the breathtaking Corrieshalloch Gorge and the Falls of Measach. Explore the Inverewe Garden, a botanical garden which boasts over 2500 exotic plants and flowers. You can also drive through the imperious landscape of the Torridon Hills before returning to Inverness. 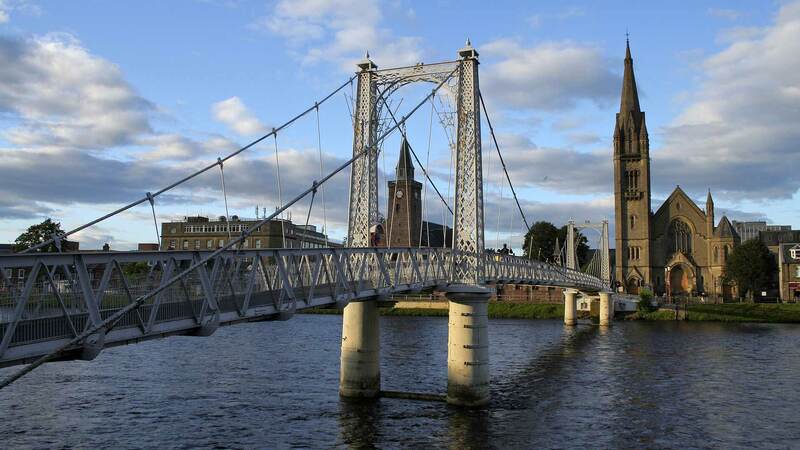 Spend another night in the Inverness area. 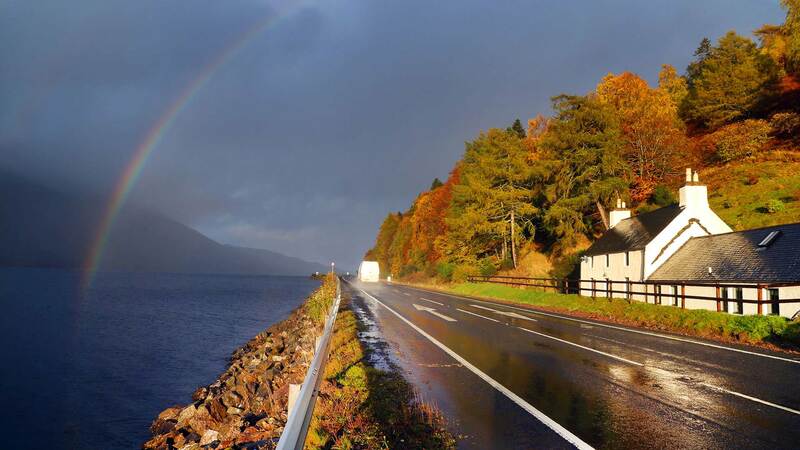 Drive along the shores of Loch Ness where you can visit the Loch Ness Centre and Exhibition. 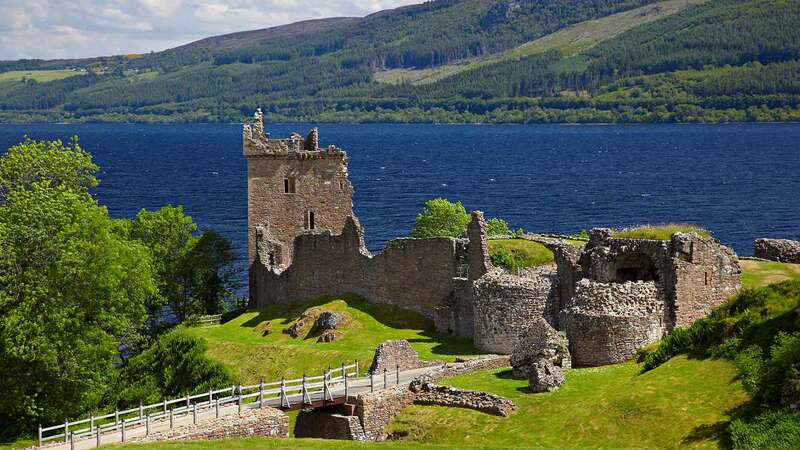 You might also wish to take a boat tour to admire the views of the loch and try to catch a glimpse of Nessie, the Loch Ness monster, or go explore the nearby Urquhart Castle ruins. 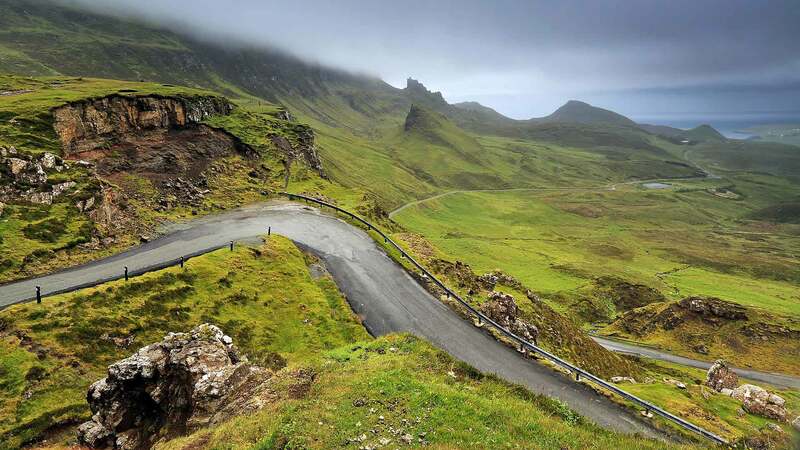 From there, continue your drive west toward the breathtaking Isle of Skye. On the way, you may want to stop at the iconic Eilean Donan Castle, a sight you will surely recognise from many films and TV shows. Today take full advantage of your day on Skye, a haven for nature lovers. You can visit the village of Portree, with its colourful buildings and boutiques before going on a drive around the northern part of the island via the breathtaking Trotternish Peninsula. 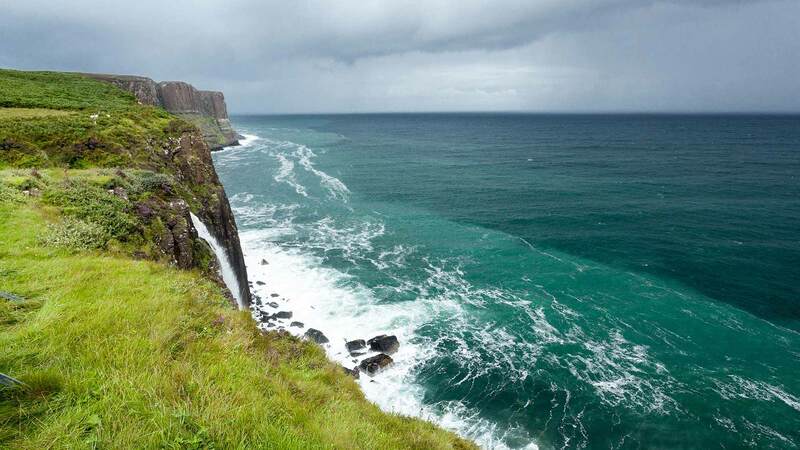 There you can enjoy a walk up to “The Old Man of Storr” rock pinnacle and see the beautiful Kilt Rock Waterfall. 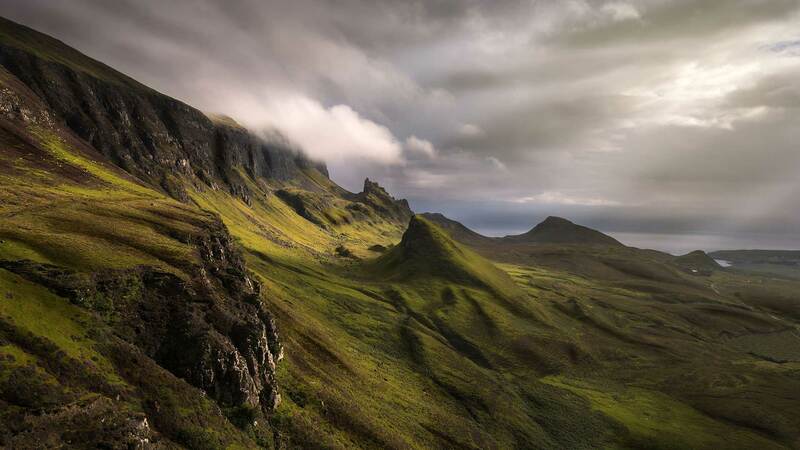 Other highlights include the Quiraing, the An Corran Beach at Staffin, where you may spot ancient dinosaur footprints, and the mystical Fairy Glen. Head south to the Sleat Peninsula, admiring the beautiful beaches, lochs, and glens of the region. 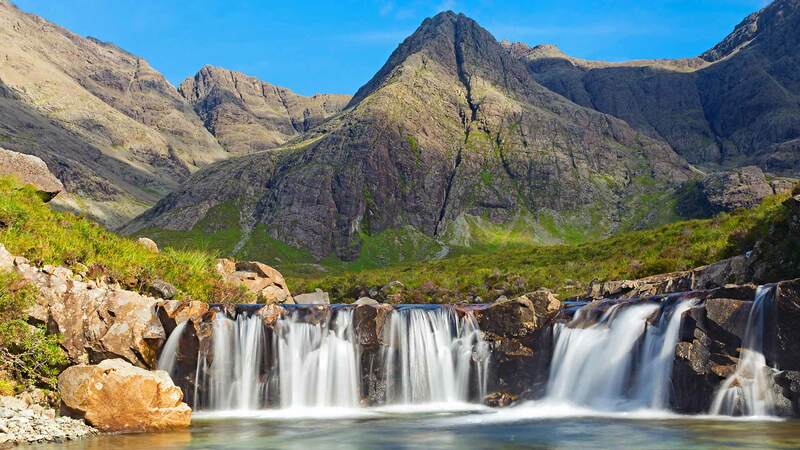 You may wish to stop on the way to enjoy a walk to the crystal-clear Fairy Pools at the foot of the Black Cuillin Hills or to sample Single Malt Whisky at the Talisker Distillery. In the afternoon, catch a ferry from Armadale to Mallaig on the mainland. On your journey, we recommend a stop at Camusdarach Beach. At Glenfinnan, you can admire the Glenfinnan Monument and Viaduct, the latter of which features in the Harry Potter film series. Today’s drive will bring you back to Edinburgh (you can choose to end your trip in Glasgow in the optional activities below). 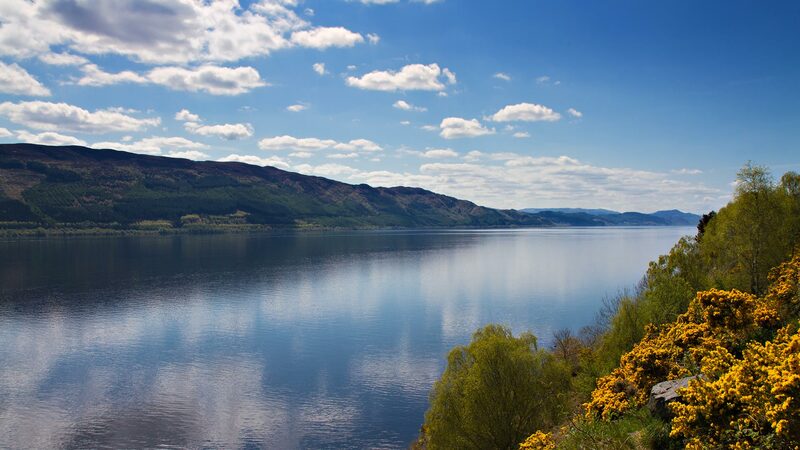 Drive through the Loch Lomond and Trossachs National Park, where you could stop to take a walk in nature, enjoy an optional steamship tour on Loch Katrine, or visit a local whisky distillery. For a fun photo opportunity, don’t miss Doune Castle, featured in Monty Python & the Holy Grail and Outlander. If time allows, you could also stop by Stirling Castle, one of Scotland’s top attractions, or at the impressive Kelpies, two impressive horse-head sculptures. Thank you for wonderful vacation! Annie was terrific — very responsive, pleasant to work. In the age of the internet, one sometimes wonders about spending money to have a service book hotels and a rental car, but I was reminded again how terrific Nordic Travel is. I love the highlighted map. We honestly did not prepare ahead of time, but were able to hit the ground running upon arrival because of the materials and itinerary provided. The hotels were terrific. Each one had it's own character and we enjoyed them all. Thank you for wonderful vacation! We are thankful we went with Nordic Visitor for our tour of Scotland. We were at each location one hour before all of the tour buses because we had our own car and could get around quicker. More customizable and a more fun adventure. Perfect tour. Perfect tour Operator.!! We were very pleased with everything. All of the guesthouses were lovely. This is my second tour with Nordic Visitor. I am very satisfied with the tours offered, the service provided by the travel agent, the hotels booked, travel itinerary and material provided. The roads in Scotland are usually in good conditions all year long and are renowned for their road trip worthiness. Please be aware that in the UK motorists drive on the left side of the road (and on the right side of the car). If you are not used to driving on the left, we highly recommend choosing a vehicle with automatic transmission for your self-drive tour. If you want a manual transmission vehicle, keep in mind that you will need to shift gears with your left hand (floor pedals are the same). Drivers will also have to get used to the narrower roads of the UK as well as the rural single-track roads with passing places and be careful of animals on the road. 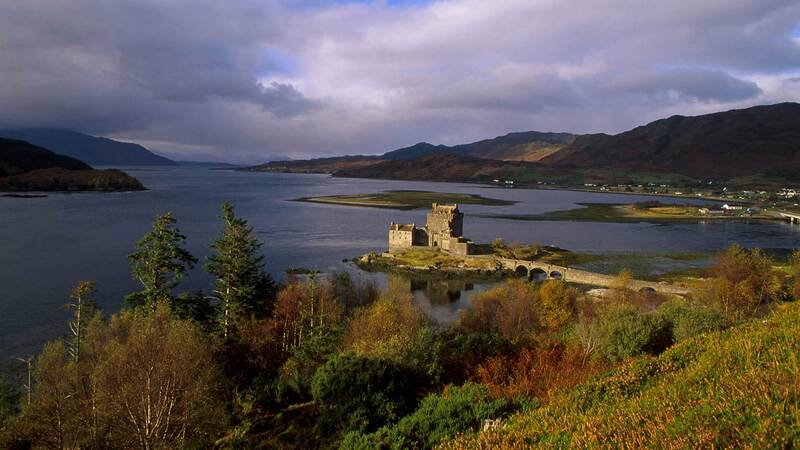 View all Scotland tours for other alternatives.